What does it mean to major in sociology? Sociologists examine the dynamics of social interaction and investigate the origins of social problems. Sociology majors learn basic tools of sociological analysis including social research methods (both quantitative and qualitative) and theory. The curriculum equips students to more effectively negotiate the diverse society in which we live by addressing social inequalities, culture, community development, social institutions, and social change. Employers are looking for students who have developed the multi-disciplinary and critical thinking skills necessary to better understand our globally connected and diverse world. Students who major in sociology will leave with training in research design and methodology, and communication skills that are useful in a wide range of careers. Why is the University of Mississippi a good place to study sociology? There are 16 sociologists in the department, with areas of specialization that include race and ethnicity, gender and sexuality, inequalities and stratification, community development, medicine and health, place and environment, population, culture, social psychology, science, politics and social change, family, religion, crime, deviance, work, and economy and organizations. The Center for Population Studies and the McLean Institute for Public Service and Community Development, as well as coursework in the major support service learning, study abroad, research assistantships, field schools, and internships focused on health, economic development, and social justice. Students are currently working with the citizens in many communities in the state (and abroad) on social change projects. The Center for Population Studies disseminates U.S. Census data, provides technical assistance in the collection and analysis of Census and other demographic and social data and undertakes research on population issues such as fertility, migration, and economic development. The McLean Institute for Public Service and Community Engagement is a resource for the entire University of Mississippi campus community, and collaborates with students, faculty and staff around volunteerism, service-learning, community-based research, and community development and social entrepreneurship projects. The McLean Institute then works to leverage these university resources to partner with communities across the state to solve problems relating to poverty. 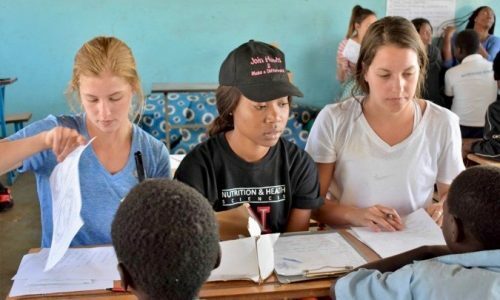 The Global Food Security and Health Field School in Zambia allows interdisciplinary teams from UM, University of Nebraska, and Zambia’s Copperbelt University develop research design and data collection and analysis skills. They explore the sociocultural and ecological factors impacting food security, health, nutrition in rural Zambia, and can experience a safari in Kafue National Park and see one of the world’s great wonders, Victoria Falls. The goal of the month-long summer course is for students to understand bio-cultural adaptation, the impact of poor nutrition on overall health, and other food-related challenges faced by people in the country. Students visit health and education programs and markets, map natural resources, and collect data. Dr. Brian Foster, Assistant Professor of Sociology and Southern Studies, earned his Ph.D. from the University of North Carolina-Chapel Hill. He is an alum of the African American Studies program at UM. 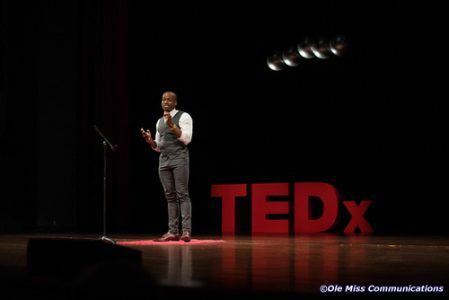 “My research takes a critical, interdisciplinary, and multi-method approach to the study of race, culture, and inequality, with particular attention to post-soul (i.e., post-1970’s) black cultures in the rural American South. In general, my work addresses two questions: how have rural southern communities changed in the fifty-plus years since the Civil Rights and Black Power movements, and what are the perspectives and experiences of black southerners living in these contexts? Geographically, much of my work is set in the Mississippi Delta. In a recent project, I examine the racial and place-making epistemologies of black residents of Clarksdale, Mississippi. In the study, I trace the demographic and economic profile of Clarksdale since the 1970’s, document the town’s economic reliance on blues tourism, and interrogate local responses to these and other development strategies.” He is currently writing a book, entitled I Don’t Like the Blues, which focuses on race and community life in the Mississippi Delta. What can sociology majors do after graduation? A liberal arts education empowers and prepares students to deal with complexity and change through a broad knowledge of the world. They gain key skills in communication, problem-solving, and working with a diverse group of people. Related careers in sociology include health care, law, demography, drug counseling, criminology, human resources, consumer advocacy, corrections, city planning, community relations, labor relations, child welfare, business, education, counseling, marketing, and gerontology research. Emma was a member of several honor societies including Phi Kappa Phi, a photographer for theatre productions, an opinion writer for the Daily Mississippian newspaper, tutor with the Writing Center, psychology teaching assistant, researcher with the Center for Population Studies, and founding member of the Food Bank on campus. She participated in a bioethics fellowship at the UM Medical Center to better understand the health care system. She then conducted ethnographic research examining health networks at a community health center in Clarksdale for her honors thesis. After graduation Emma attended the London School of Economics for a masters in international health policy, then worked with former UM Chancellor Dr. Dan Jones in the Center for Obesity Research at the UM Medical Center. Her research on the overlap of nutrition policy, trade policy, development, gender and race fuels her current interest in rising obesity trends. 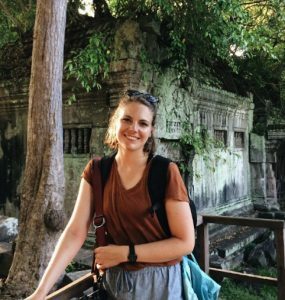 She plans to pursue a Ph.D. in health policy or development after teaching and travel in Asia. Whom should I contact to learn more about majoring in sociology?